Failure fans withstood a hot, humid tropical drizzle outside of Amoeba Hollywood June 30 for the chance to see the band perform after a 17-year absence. The alt-rock band reunited last year after breaking up in 1997 due to personal differences. 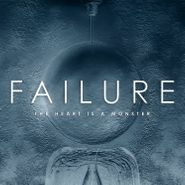 In that time, Failure maintained a sizable cult, due in part to the band members maintaining a visible presence in musical projects such as Autolux, ON and Year of the Rabbit. With their “classic lineup” of Greg Edwards, Ken Andrews and Kellii Scott together again, the band has been successfully touring, playing all over the U.S. and Europe, and at festivals such as Desert Daze and Sunset Strip Music Festival. The band chose to focus half of its set on its newly released fourth album, The Heart Is a Monster, which has been well-received by both fans and outlets such as Pitchfork. They started the show with that album’s opener, “Hot Traveler,” a highlight as the song moved from muscular riffs to a dreamier closing. 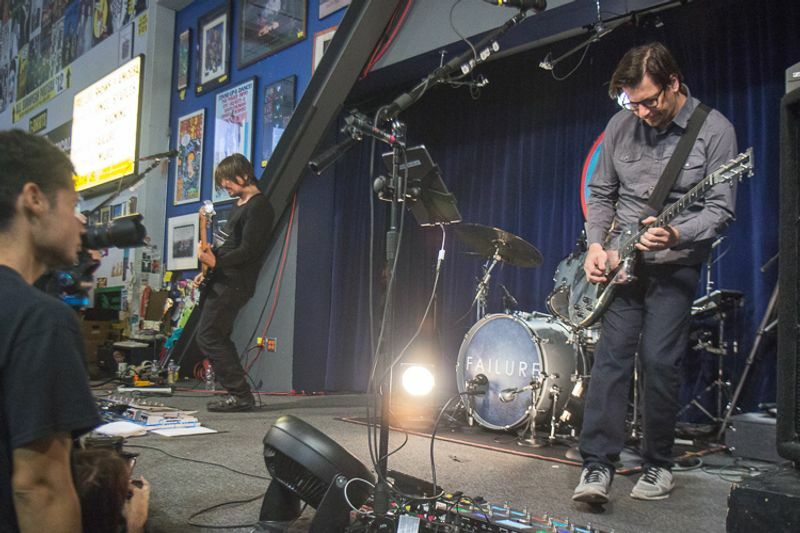 The Amoeba show featured the live debut of two new songs from the album, “A.M. Amnesia” and “Otherwhere,” sneaking in classic “Another Space Song” from 1996’s Fantastic Planet in between.